Parking lots are common locations of slip and falls. Failure to maintain a parking lot can lead to hazards such as cracks in sidewalks, uneven walking surfaces, and debris on walking paths. Weather-related hazards such as snow, ice, and wet surfaces due to rain also pose threats to those walking through parking lots. If you have sustained injuries due to a slip and fall in a parking lot, you may very well be concerned with who is liable for your injuries. Who is liable for causing your injuries answers the question of who will be covering your costs such as mounting medical bills you may be accumulating. 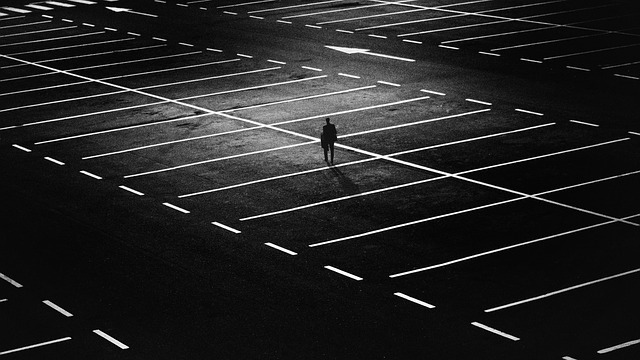 One of the first questions to ask when determining who is liable for a slip and fall in a parking lot is: who is responsible for maintaining the parking lot? Generally speaking, the entity responsible for the condition of the parking lot will be responsible for a slip and fall. Sometimes government entities like cities or counties are responsible for maintaining a parking lot. Other times, a private individual or a business will be in charge of managing and maintain a parking lot. In most instances, a parking lot slip and fall will occur in a lot owned and maintained by a business. Another big question to consider when determining parking lot slip and fall liability is: what caused you to fall? If you tripped over your own flip-flops that are a size too big on you, then you are most likely responsible for your fall. If you were looking down at your phone and not paying attention to where you were going and that is the reason you fell, then you are most likely responsible for your fall. You may also, in some instances, be found partially at fault for a slip and fall. California follows a comparative negligence standard which means that even if you are partially at fault, you can still recover compensation. Your compensation award, however, will be reduced by your percentage of fault. If a parking lot hazard led to your slip and fall, the next question to ask is: did the owner of the parking lot have a duty to remedy the dangerous condition. People entering a property, particularly people like guests or customers of a business, are owed a duty of care from the owners of the premises. It can be a complicated legal question to answer, but if the parking lot owner owed you a duty of care and had a duty to correct the hazardous condition that led to your injuries, then they will most likely be held liable for the slip and fall. Parking lot slip and fall injuries come with some heavy costs. The pain of living with your injury, expensive medical treatment, and the need to take time off of work to recover all take a toll on your life and financial well being. Our personal injury attorneys are here to help you recover full and fair compensation. Contact us today.